Paramount Business Jets specializes in private jet charter flights in and out of San Francisco, California. 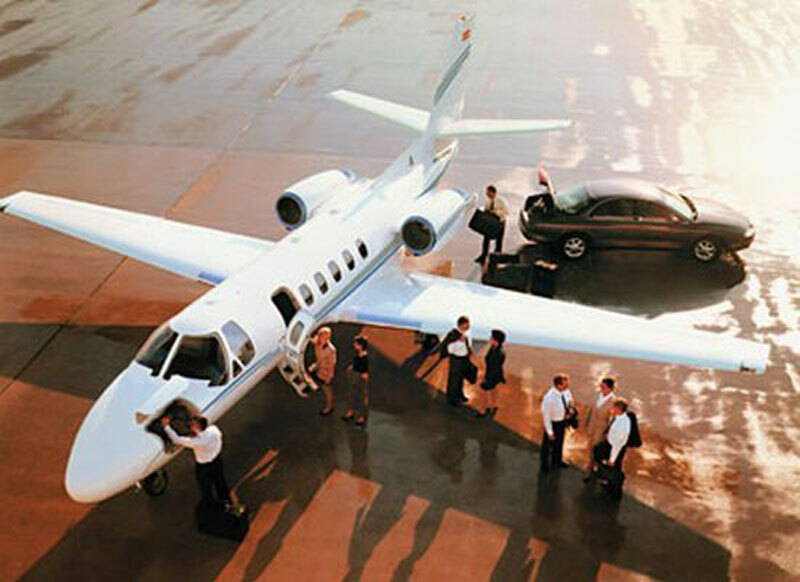 We have access to over 150 private jets available for charter in the area. The most common aircraft types include turbo props such as the King Air 200, King Air 350, and Pilatus PC-12. Popular light jets such as the Citation CJ2, Learjet 35A, and Citation V. Midsize jets and large jets such the Gulfstream G-IV-SP, Challenger 604's, and Falcon 2000EX. There are also many ultra long range jets available such as the Gulfstream G550, Global 5000, and Gulfstream V. For VIP airliner charters please call us and we will position a Boeing Business Jet or an Airbus Corporate Jet for your luxury group travel in and out of San Francisco.The airport options include more than 10 executive airports within a 50 mile radius of San Francisco International Airport (SFO), which is the main aviation gateway to San Francisco. The other most common airports include San Jose International Airport (SJC), located 31 miles southeast of Downtown San Francisco, and the Metropolitan Oakland International Airport (OAK), located 12 miles northeast of Downtown San Francisco. Call us for the best pricing and San Francisco jet charter services at 1-877-727-2538. One of the country's most cosmopolitan cities, San Francisco has long been a city where hopes and dreams come true. With the Golden Gate Bridge linking it to Marin County and the famous Alcatraz Prison in the background, this city is packed with great shopping at places like Market Street or Union Square, a number of performing arts and opera centers, world-class museums, fine restaurants, lively bars and nightclubs, and cozy coffee houses. Popular tourist attractions in San Francisco include the Golden Gate Bridge, Golden Gate Park, Alcatraz Island, Aquarium of the Bay, San Francisco Museum of Modern Art, Bayview Opera House, California's Great America, Conservatory of Flowers, Fox Theater, Boudin at the Wharf, and Driven Raceway. San Francisco is a city with a big seaport offering tourists several waterfront attractions including dining, shopping, and live entertainment and if you lucky you might be able to catch a glimpse of sea lions making home to the cities floating docks. San Francisco should be a city on your list of places to visit regardless of business or personal affairs. San Francisco's natural beauty, cosmopolitan atmosphere, impeccable quality of life, diversity, and reputation for technological and entrepreneurial innovation, make it a popular tourist destination for both domestic and international travelers.